Asbestos is a naturally occurring mineral material that is still found in many buildings, especially older ones. It is a good insulating material but is linked to causing very serious health problems for people, including cancer, so is rarely used in the construction industry nowadays. In many countries, it is illegal to use it any more but it sometimes has to be removed from facilities where it was installed previously. There are several forms of asbestos and some are more dangerous than others, with chrysotile appearing to be the most dangerous form. Those working in areas with this type of asbestos or living near production facilities using it have developed health problems, especially lung problems and tumors. Asbestos consists of many small fibers that can become airborne when the asbestos is disturbed and are then breathed in, causing various illnesses. Some people have become so ill due to their exposure to asbestos that they are unable to go about their normal life and this has resulted in lawsuits from workers who believe that their health was not properly protected even though the dangers were known about. Fiberglass has replaced asbestos in many areas now. It is a good insulating material also. Removing asbestos from buildings and replacing it with new materials is very costly and time consuming. Those involved in the process have to wear protective clothing to help prevent the harmful fibers from getting into their bodies. Mesothelioma is a type of lung cancer linked to asbestos exposure. It has a very poor prognosis (outlook) and most people diagnosed as having it are likely to die from it, either directly or from the effect it has on their other vital organs. It affects the cells lining the lung area as well as the chest cavity and promotes the growth of tumors in these areas, some of which (though not necessarily all) may be cancerous. For some people, it takes only a single exposure to asbestos to develop mesothelioma, while others are exposed to it for many years before being affected. And it can take many years for mesothelioma to develop – as long as 20 years between exposure and development of the illness. It is this illness that means that construction or building workers must assess whether asbestos is present before they begin any remodeling or destruction of an existing building. In order to determine if asbestos is present in a given location the materials have to be tested. They are collected and then sent to a laboratory for the testing to be completed. If the tests are positive then measures are taken to secure the area until the removal or encapsulation process can be implemented and completed. For many people, knowing where to look for asbestos is very important too. In older homes you may not even realize it is a factor to be concerned about. Asbestos was once very popular as a type of insulation, so anywhere using insulation is the first place that someone testing for asbestos is likely to take test samples from. They will also look into any heat ducts, the fireplace, around wiring housing, the furnace, and around plumbing pipes. Any workers should wear protective gear as a precaution while searching for collection samples. Only trained professionals should be used to assess whether asbestos is present: they will know where and what to look for. The general homeowner doesn’t usually have this knowledge or the training. Your local health department or building services department may be able to provide a list of professionals in your area to carry out this work for you. There are many different times when you may decide to do asbestos testing. If you live in a home that was built before 1980 it may not have been tested before. Finding out if you have asbestos in the area or not can give you peace of mind. You certainly don’t want to risk exposing your family to the harmful effects. You also don’t want to lie awake at night wondering if it is present or not. You will also need to complete an asbestos test before you begin any type of remodeling or if you are tearing down something. These types of activities can loosen the fibers associated with asbestos and make them airborne as dust. 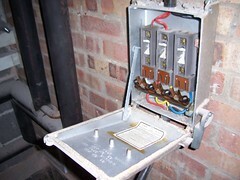 This is when they are most dangerous and this is why asbestos is often kept damp if it becomes necessary to remove it. Since asbestos can be so very dangerous for both people and animals, it has to be either covered up or removed and replaced with other types of materials such as fiberglass. The first option is to cover it, if possible (e.g by encapsulation) but if it cannot be safely covered, then it may need to be removed in a safe manner and this may even involve you having to move out for a few days. This is important so that residents don’t end up becoming ill from any airborne fibers. Generally, a person has to be certified in asbestos removal to be able to perform the duties. There are plenty of well trained contractors out there with the right training. They also have all the safety equipment to do the job properly without putting their own health at risk. The process has to be systematic so that as few fibers are broken loose during it as possible. It is the many fine fibers in asbestos that are responsible for the medical problems so the asbestos may be wetted down to help reduce the amount of fibers and dust that get loose into the area. Once the asbestos is removed it has to be stored properly as well. There are special containers made for it that won’t leak the asbestos out into the environment. They are classified as a container for hazardous materials so that anyone coming upon them will know that what is inside could potentially be harmful. In many locations, the collected containers of asbestos are buried in landfills. In other areas, asbestos can be dumped ONLY at licensed dumps for such hazardous waste. An asbestos removal professional will know the regulations for your area. Many areas will impose hefty fines and even jail time for not properly disposing of asbestos. This is due to the many health concerns related to it. Asbestos can be a dangerous material, although it has been very useful in the past for insulation. If you discover it in your house, or if you want to do construction work on an older house, you would be well-advised to get a trained and qualified asbestos professional to assess any problem and advise on containment or removal.